Sperian , a world-leading brand in personal protective equipment (PPE) launches the new Miller Falcon offshore wind energy kits in its existing line of height safety and fall protection solutions. Engineered specifically for use in the offshore windmill industry, the Miller Falcon Kit features all the necessary components needed to work safely at heights in the toughest working conditions. Miller Falcon fall protection kits are made from high quality stainless steel and are corrosion-resistant making them suitable for use in wet or dry weather conditions. A Falcon 20m stainless steel block with aluminium internal components for extended service life is also provided in the kit. 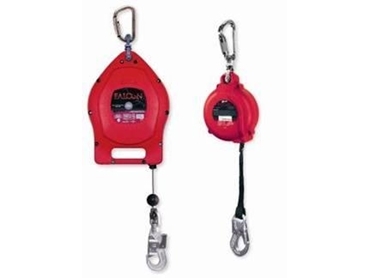 The Falcon block is certified to AS/NZS 1891.3 standards as a type 2 fall arrest device.